Apologies to all regular Greengreenworld readers for the lack of normal service over the past few months. Chief Editor Sandy Jamieson has had to concentrate exclusively on implementing the decision of Ringwood Publishing to split the book Yellow Submarine. At the end of April Ringwood Publishing took the massive decision that the story of the Celtic Submari was too major and too important to subsume within the Yellow Submarine story of the miracle of Villarreal CF. They decided it was a separate enough and important enough story to be a book in its own right. Since then he has been working very hard to separate out what was one of the three strands of the original book and ensure that he produced two books, each of which stands separately, although they are companion volumes. As a result there are now two books to show for the last 3 years of his life. One is the “Yellow Submarine – the Miracle of Villarreal CF” At £11.99 it will remain excellent value, offering two stories for the price of one. Part One provides an explanation for the miracle of Villarreal CF including identifying the 10 Key Ingredients that best explain how a wee club from a small town of under 50,000 population has become one of the top teams not just in Spain but in Europe. Part Two is the account of a three year voyage on the Yellow Submarine as they set sail in search of further glory in the Champions League, the Europa League and La Liga. 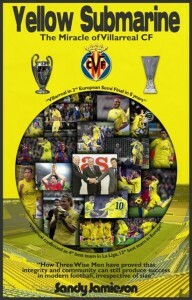 It explores how the key ingredients identified in Part One are applied in practice and whether the lessons from Villarreal are replicable for small and medium sized clubs throughout Europe. 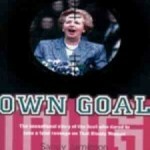 The other book is “Celtic Submari – a new model of football relationships, based on affection and respect, not hatred, bitterness or sectarianism.” In publishing this Ringwood Publishing has recognised that the story of how an invasion of Vila-real by 10,000 Celtic supporters in 2004 led to the amazing and unique friendship between supporters of Villarreal and Celtic deserves to be told in its own right, separate from the story of the Miracle of Villarreal CF. Celtic supporters everywhere can take pride in the story of how their example of camaraderie and good behaviour inspired the formation of the Villarreal Celtic Submari which has proved to be an extraordinary example of the way in which decent people can help others through football and friendship. Celtic Submari will also explore why the subsequent visit of Glasgow Rangers to Vila-real did not result in a similar outburst of mutual friendship but continued the pattern of significantly different behaviour abroad of the two Old Firm sets of supporters. The book will offer an explanation of the cultural and other differences that lie behind these different behaviours. It will show why both Celtic and Rangers supporters need to learn some of the lessons from the model practised by the Villarreal Submari if Scottish football is ever to eradicate the sectarian sickness that currently erodes its soul. This book will retail at £9.99. 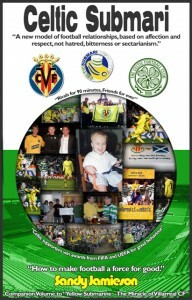 For every book sold £2 will be donated to the Villarreal Celtic Submari charity. I can at last provide a definite date for the launch of both books. It will take place on Saturday 17th September 2011 from 7pm to 10pm in the Celtic Supporters Association Social Club at 1524 London Road, by Celtic Park. Please put the date and time and venue in your diary now. Please also feel free to invite anyone you think might be interested in these books. The programme for the launch has not been completely determined yet but it will be around the content of the books and several current and former Celtic legends hopefully will be in attendance. Celtic do not have a game that day but they play Rangers at Ibrox the next day so the themes of “Celtic Submari” should be quite topical. The very good news is that Ernesto and Maria Dolores Boixader have agreed to attend the launch. 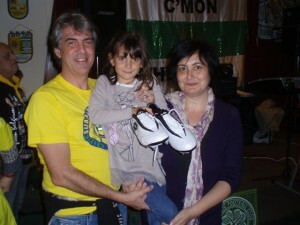 Saul Ramos is coming too and others of the Celtic Submari may come over as well.